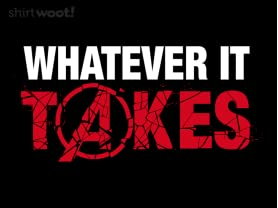 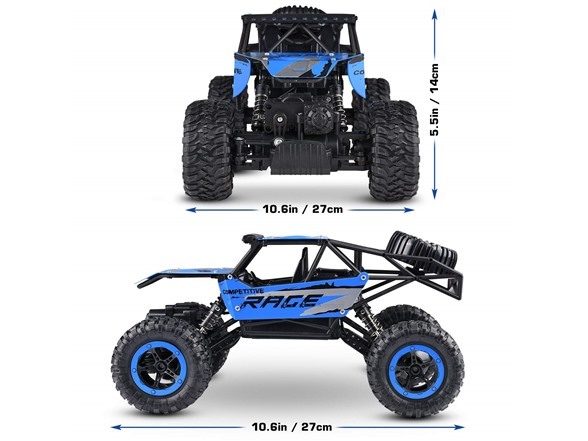 Love the thrill of racing but not the danger? 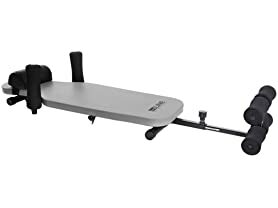 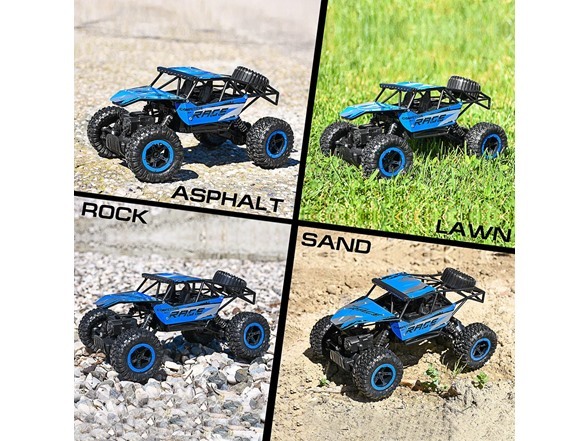 ABCO rock crawler is made for racing enthusiasts & aggressive/adventurous kids – a smart way to feel the excitement of riding, without experiencing the dangers of the road! 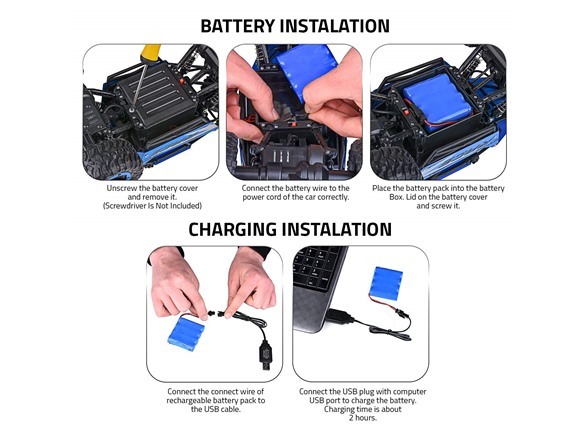 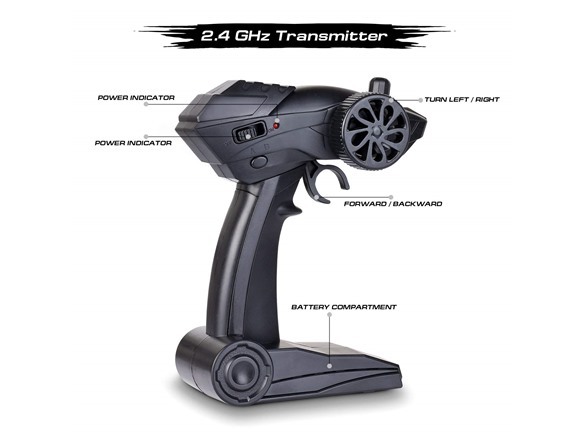 Our RC rock crawler is 4WD, and equipped with a powerful motor that makes it capable of climbing even a steep slope of upto 35° easily, and comes with a high/low speed switch to adapt to different road conditions – off-roading adventure awaits you. 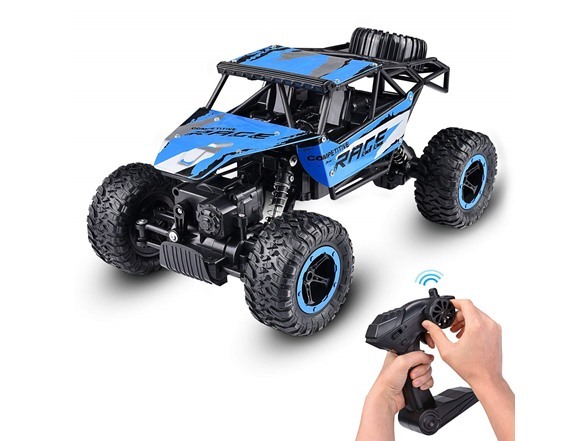 Love the thrill of racing but not the danger? 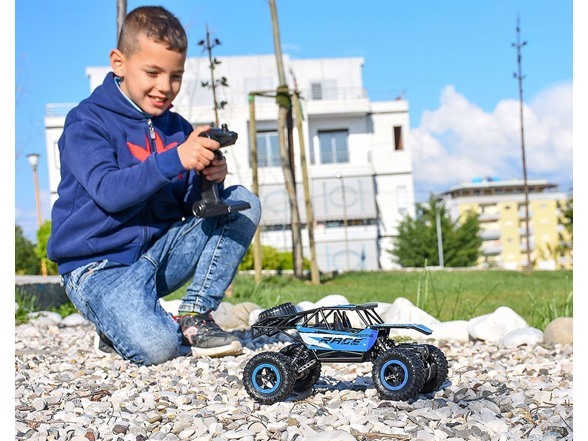 ABCO rock crawler is made for racing enthusiasts & aggressive/adventurous kids – a smart way to feel the excitement of riding, without experiencing the dangers of the road! 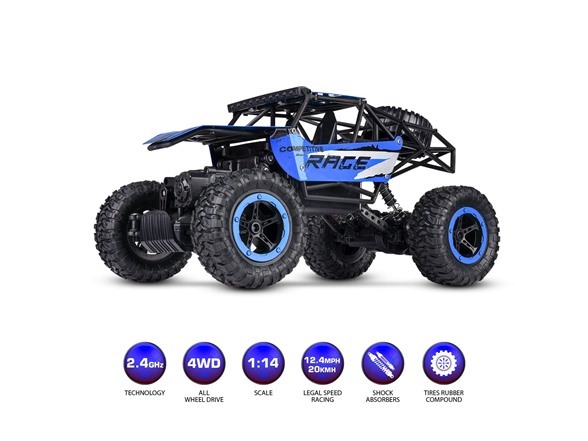 Our RC rock crawler is 4WD, and equipped with a powerful motor that makes it capable of climbing even a steep slope of upto 35° easily, and comes with a high/low speed switch to adapt to different road conditions – off-roading adventure awaits you. 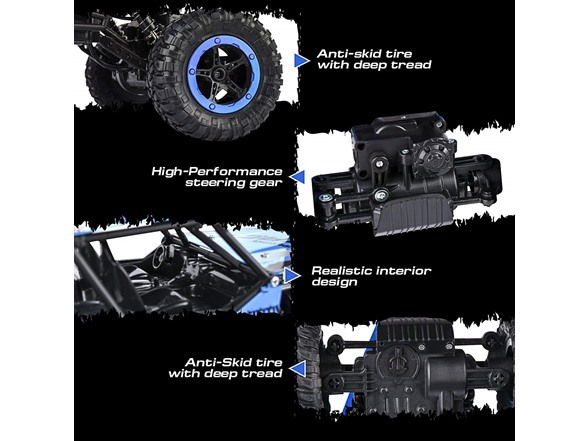 Double high-intensity magnetic motors, gives the rc jeep rock crawler a strong power output & a speed of upto 20 km/hr, making it easy to climb rocks, and anti-slip rock tires with shock absorbers make it easy to get traction even on the smoothest roads! 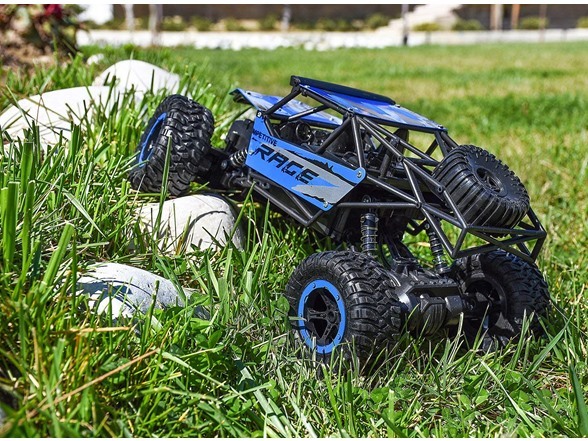 Solid alloy plates & a strong ABS plastic body increases the impact resistance & durability of the dune racer, and attractive cool colors make it the best rc crawler gift for children & adults alike!